Formed in 1998 Wimbledon has established itself as a leading force both locally and nationally amongst Speakers Clubs. 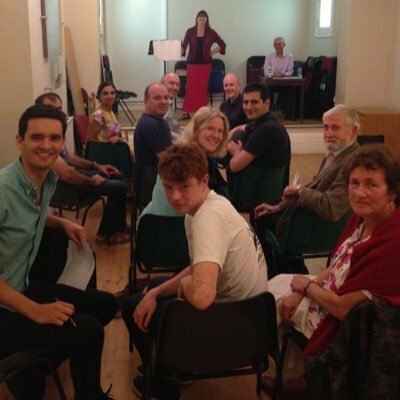 Our aim is to help members develop confidence and skills in a variety of forms of verbal communication and public speaking in a fun, friendly and supportive environment. Anyone who wants to improve upon their public speaking or communication skills, whether a total beginner or more advanced. No matter whether you’re preparing to give a speech at a wedding, a work presentation or just want to improve your overall speaking confidence, Wimbledon Speakers Club is for you! A typical programme covers improvised speaking, prepared speeches & speech evaluation, interspersed with other word games, debates and other light-hearted entertainment, all of which helps to improve your public speaking skills. Our meetings are held on the 1st & 3rd Wednesday each month at Wimbledon Library which is 2 minutes walk away from Wimbledon train & underground station (entrance via the wooden door down the right-hand side of the building) from 7.15pm-9.30pm. We welcome visitors who just want to drop in and see how they can best benefit. Wimbledon Speakers is not affiliated with any political or religious organisation. Our membership reflects a complete range of age gender and ability. To get in contact with us, please click here. Wimbledon Speakers is a member of The Association of Speakers Clubs (ASC) – see The ASC page for more details.